It now surprises me that NaPoWriMo is all but over. I feel just a little sad that tomorrow I will not have a daily prompt to write a poem, but that doesn't mean I can't write daily. I have had some challenges with muses, prompts, and time. 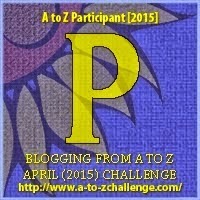 Between the A to Z challenge and the theatre projects, I have written 30 poems. I also need to give a huge thanks to the Poets Three (the musketeers) for reading and enjoying my poems, giving awesome encouragement. Thank you, Guys! 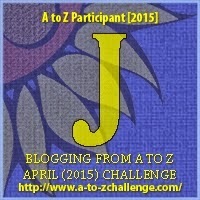 I got to know Jesi and Rod during OctPoWriMo last year, I met Lizzi on this go around of NaPoWriMo. We have become quite the tight group. These three are some of my closest internet friends. I love them in the whole of my soul, and hope that we stay close after this month has faded into the history books. 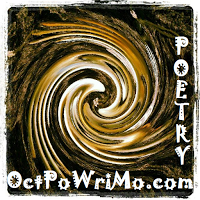 For today I thought I would use one the last poems from my OctPoWriMo titled Imaging the End. This wasn't a strong piece, more back then, a bit of a reflective piece more than anything. But, when I sat down in the final hours of this month, I realized that I had something that I could work with. And now for our final prompt (still optional!). For the last day of NaPoWriMo, I’d like you to try an odd little exercise that I have had good results with. Today, I challenge you to write a poem backwards. Start with the last line and work your way up the page to the beginning. Another way to go about this might be to take a poem you’ve already written, and flip the order of the lines and from there, edit it so the poem now works with its new order. This will probably feel a bit strange (and really, it is a bit strange), but it just may help you see the formal “opening” and “closing” strategies of your poems in a new way! I had some fun, placing the lines in reverse order and then editing it into a new poem. I think it works better and comes off stronger. What do you think, Dear Readers? Of the possible outcomes then? I would think of the end. Tomorrow is our Zompre Prom, a fundraiser for our show and an actual prom, with streamers, balloons, and a floral arch for pictures. I never went to my high school prom. I probably missed out. But, now I get a chance to enjoy a prom with my closest heatre friends and (quite possibly) have a more awesomer time thsn in high school. I even have a date!!! ...Pictures or it didn't happen! If you are curious and our in the Corning/Bath area May 29th and 30th, you should come and see Zombie Prom at Bath Haverling's auditorium. It's a fun story about love and zombies. Enough said! And it's a musical too!! Been learning songs about Rules, Regulations, and Respect; the news beat; and Enrico Fermi High. Dancing and singing, being around my theatre family, and so much more. It's been a full spring already! But again, I would have it any other way. Today's challenge: to write a poem in the form of a review. You can review either animate or inanimate things, real places or imaginary places. You can write in the style of an online review (think Yelp) or something more formal that you might find in a newspaper or magazine. (I imagine that bad reviews of past boyfriends/girlfriends might be an easy way to get into this prompt, though really, you can “review” anything in your poem, from summer reading lists for third graders to the idea of the fourth dimension). A Conversation with My Brain! I am not sure about this. a review you say? ~turns head to look around, hoping to see someone else looking a little confused~ Not what I was expecting. Although these prompts generally are anything I expect. If I knew what to expect then I clearly wouldn't have an challenge in this particular challenge, right? 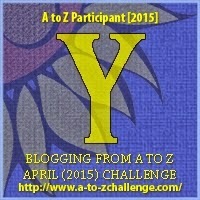 I am not sure what to write about and since today is Y for the A to Z Challenge, I am even more put out. I know it is optional, but I ALWAYS do the prompt. ~mumbles~ Okay, yes, I did choose to skip two of the prompts, but that was because of time and traveling and stuff....Finer! You're right brain! I can choose to NOT write the prompt, but that would be a waste of a chance to prove me wrong (well that part of my brain that doubts). You're right, I need to write a review style poem. I need to stretch my muscles, push the boundaries. A writer writes! And so, I will write. And because I don't do anything small I am writing an ETHEREE. A poem that has 10 lines, each line has an increasing number of syllables, starting at 1, 2, 3, 4, 5, 6, 7, 8, 9, 10. An even greater challenge is a double etheree using the same formula: 1, 2, 3, 4, 5, 6, 7, 8, 9, 10, 10, 9, 8, 7, 6, 5, 4, 3, 2, 1. Check out Shadow Poetry for a great poetry resource. This is a review of some of the thoughts that process through my head when writing poetry. It is about as close as I can figure and I think it works on its own level. I am always trying to strive for it. Bonus: I thought that I would share some of my older poetry with my Poet Musketeers. For my Athos: a limmerick (it is really lame), but it's a present for you on the eve of the end of NaPoWriMo and A to Z 2015. So much for all that scurry. For my Aramis: a love poem from my early college days, circa 2000. Since you write of love with such a passion, I thought you would appreciate this. can this love be real? For my D'artagnen: a poem of passion from my early days. I think this was in my Dragonlance books days. I do hope you enjoy. Does that make us both cowards? Wounds hide only what’s left of our pride. What you seem to see. Today, I’d like to challenge you to write a poem about bridges. A bridge is a powerful metaphor, and when you start looking for bridges in poems, you find them everywhere. Your poem could be about a real bridge or an imaginary or ideal bridge. It could be one you cross every day, or one that simply seems to stand for something larger – for the idea of connection or distance, for the idea of movement and travel and new horizons. Okay, I bridge it is. After reading poet post, Jesi, I felt that maybe I need where I wanted to go with this prompt. I have come to know the people dubbed The Poets Three. Their comments and conversations and votes of confidences have push me into new ways of thinking and stretching my poetic license. And even though we live some far across these cyber seas, I feel we are that much closer. They are the ones that make that make me feel less lonely as a poet. These are the folk that I can celebrate my victories and share my woes with in verse and friendship. Thank you, The Poets Three, Jesi, Rod, and Lizzi. Today's a Pantoum about Bridges and Friendship across the miles. that fills the spaces between the known lands. this is a vast and lonely cyber sea. and I can count my blessing three. 1, 2, 3 others who float along this shiny sea with me. staying the mainsail and swabbing the poop deck. when all of the wind and weather has beaten me raw. sometimes I feel a marooned captain that drifts upon a sea. 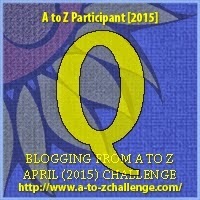 Now onto the A to Z Challenge, so a second poem and about something equally random. 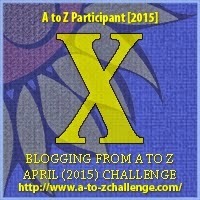 X is for Xanadu! It's part of a classic poem, Kubla Khan by Samuel Taylor Coleridge and it is also a ultra cheesy movie musical, Xanadu with Olivia Newton-John, and music by ELO (mostly). Xanadu is basically what paradise would be, so tonight a Cinquain for Xanadu. I can't remember if I use Xanadu last year, but I am sure I didn't use it to write a poem. The way I think about it, even if I overlap, at least I am keeping it fresh. Some days are just as simple as this. And today’s prompt – optional, as always — comes to us from Vince Gotera. It’s the hay(na)ku). Created by the poet Eileen Tabios and named by Vince, the hay(na)ku is a variant on the haiku. A hay(na)ku consists of a three-line stanza, where the first line has one word, the second line has two words, and the third line has three words. You can write just one, or chain several together into a longer poem. Today letter makes today's NaPoWriMo prompt easy. It just rolled off my fingers as I was typing it. That doesn't always happen. After having read some fellow poet friends hay(na)ku, I feel pretty good about today's poem. Although it is a rather strange name for a poetic form, Hay(na)ku, sounds like some sort of a mixed drink, or an exotic bird. A bit of update on my A Round of Words in 80 Days. *Reading: about halfway through Murder in the Mews (Agatha Christie) and started Let's Pretend This Never Happened : (Jenny Lawson, also known as, The Bloggess). You should check out her website. 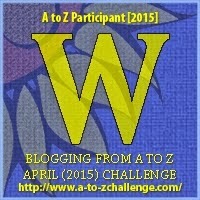 *Writing: I have been keeping up with the blog challenges, NaPoWriMo and Blogging A to Z. *Theatre Stuffs: rehearsals for Zombie Prom and Aesop's Foibles are coming along and that's keeping me pretty busy between the days. *Writing: write the flash fiction for #writestuff's monthly challenge which ends tomorrow. Not that I can't do. In fact, I will! Stay tuned. And after all ROW80 is flexible. 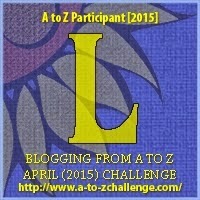 A Round of Words in 80 Days, the blog challenge that knows you you have a life. 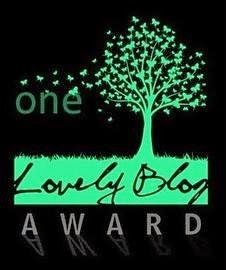 Come and visit the Blog Hop! I need to get caught up on my poetry prompts. I miss two (I free wrote instead) days. For this I feel guilty, so, Dear Readers, I give you a Clerihew. Not really my forte. I have a hard time writing rhyming funny/witty things. Rhyming, yes, I have gotten quite good at it. But, the funny or witty lines often comes across as silly. Still I attempt it, with that I present my Clerihew about The Doctor. within his own mind warred. he still love fish fingers and custard. For today's prompt, a persona poem I am sharing an older poem, but a personal favourite. 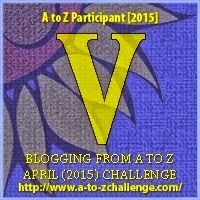 Today, I challenge you to write a persona poem – a poem in the voice of someone else. Your persona could be a mythological or fictional character, a historical figure, or even an inanimate object. Need some examples? She was his pride and joy. But not forever, for Rasputin, he came too. War on the house, Romanov. Lies there among fig-like trees. And two that are...Can you guess to whom the voices belong to, Dear Readers? (Note: all these poem are from the year 1998). But I no longer think so. And holds my pathetic body together. A silly girl with foolish dreams. Despite all my "loving" husband does for me. And makes my blood boil like Apollo's ball of fire. In the darkness to conceal what mother doesn't know. Have banned me, your own flesh and blood, condemned me. No help from dear sweet mother. That is the one love of my life. My dream is now the reality. And here, yes here, she will stay. Sulfuric tendencies into my brain. It wafts through my nostrils, my muscles pulsate for her touch. It is her, the fair light in eternal darkness. I am traveling today and so I don't have to worry about writing on the road I have provide a little poem for today. Seems I am up before the day's prompt is. Hehehe! Our prompt today (optional, as always), will hopefully provide you with a bit of Friday fun. Today, I challenge you to write a parody or satire based on a famous poem. It can be long or short, rhymed or not. But take a favorite (or unfavorite) poem of the past, and see if you can’t re-write it on humorous, mocking, or sharp-witted lines. You can use your poem to make fun of the original (in the vein of a parody), or turn the form and manner of the original into a vehicle for making points about something else (more of a satire – though the dividing lines get rather confused and thin at times). 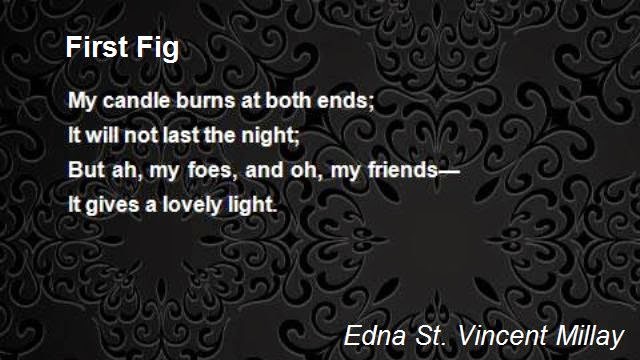 I have known of Edna St. Vincent Millay since high school and her poem First Fig. It was always taught, or at least brought up. I'm not sure if it really my favourite of her poem. It is the most famous. It reminds me of how busy our lives can be. My "remixed" version of First Fig. You realize the trouble with that, Lady? She sits in the dark with hot wax on her hands. 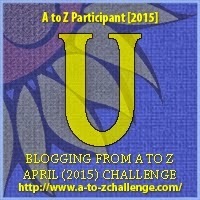 U is for Using something again. to guard his unused and forgotten 150 acres of wilderness. on warm summer nights and the opening of the hunting season. and once and a while, if I squint my eyes, I can spot 'em. tugging upon his lead, asking to go after the chase. with trips of pine needles, but I have to go. but the promises of legal pursuit are far too great. And yet, I still I have to pee. And now for today’s prompt (optional, as always). Today, I challenge you to take a chance, literally. Find a deck of cards (regular playing cards, tarot cards, uno cards, cards from your “Cards Against Humanity” deck – whatever), shuffle it, and take a card – any card! Now, begin free-writing based on the card you’ve chosen. Keep going without stopping for five minutes. Then take what you’ve written and make a poem from it. 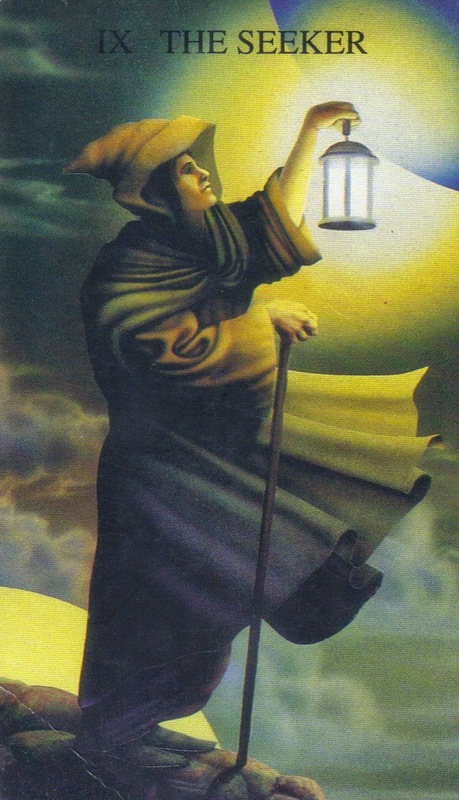 The seeker means a search for the light, knowledge, seeking guidance from the ancestors. How fitting, Dear Readers. How fitting! In a world of seekers there are also queen. you see I know both the type. The royalty that rules the land and the quiet reserved hermit, studying with their own little realms. But can a hermit be a queen of their own study. The matriarch of the library. I guess it stands to reason that maybe a queen can also be a hermit, a seeker, a quiet wanderer of amongst the tome and tarots. Maybe either could learn a bit more of the truths behind each of the others world. A queenly who learns from the past will rule wisely and with a gentleness, while a hermit can makes the laws of sight and mind work to the benefit of their world, the world as a whole. I think that is the real power, knowing that you can be both while still being you. and she has chosen her path. there has to be another, yes? they can make the whole. and hands of the strong. And now for (as always, optional) prompt! Today is Earth Day, so I would like to challenge you to write a “pastoral” poem. Traditionally, pastoral poems involved various shepherdesses and shepherds talking about love and fields, but yours can really just be a poem that engages with nature. One great way of going about this is simply to take a look outside your window, or take a walk around a local park. What’s happening in the yard and the trees? What’s blooming and what’s taking flight? and the day is birthed anew. with a chance for joy and love to rejoice. in pastoral gales of pale green grass and sheep. and its like something out of a storybook. when the hero is crowned king and his lady by his side. when the sunshine breaks across the sea. Now for my ON TIME check-in, the first one since Round 2 started. I knew this month was going to be tight, so I am glad that I still have enough focus to make ROW80 worth it. Oh, Dear Readers, it is always worth it, but I mean I definitely needed to refocus in April and May, to make this work, I am finally getting back on some sort track. 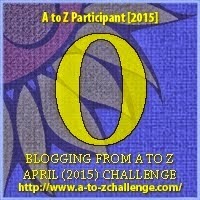 A Round of Words ion 80 Days, the blog challenge that know you have a life. Welcome to the Blog Hop! *Writing: on track with my challenges. I am finding a rhythm in the last third of the month, finally. I am pretty proud of my poems. I only opted out of two of the 22 daily prompts this month. Thinking, Dear Readers, that I will still try a fourteener and a sapphic poem. Well, the sapphic will wait until Summer. Oh the maths!!! *Reading: made a big dent in Murder in the Mews (Agatha Christie), it's an book of four short stories, so it is an easier read. I am not sure I will make the monthly goal of 4 books at this rate, but we shall see. There is still time. *Reading: finish Murder in the Mews by Friday. Start Alysa of the Fields (might even listen to the audio version), I was part of the recording of the books, in the chorus with some oohs and aahs, and even a line. It was written by a local author, my Hubs is the lead hero. *Submitting: look for a piece to submit to Toasted Cheese's summer contest, A Midsummer Tale. Entries are due by June 21, 20145. 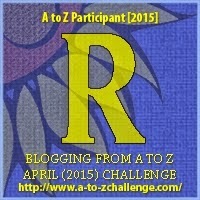 And R is for Rod. My friend and fellow poet. 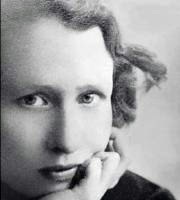 Her get's a shout out for writing some of the MOST touching pieces of poetic masterpieces ever. His beauty in voicing the ugly side of depression or the love he has for his wife, or just plain playful fun. It ha been a pleasure to share my words with Rod (and Jesi and Lizzi too!) this month of poetic wonder and sometimes frustrating work at things such as fourteeners are sapphic poems. Right, Guys?!?!? Also, today's topic involves Romantics. Our prompt for today (optional, as always) is an old favorite – the erasure! This involves taking a pre-existing text and blacking out or erasing words, while leaving the placement of the remaining words intact. I’ve been working on an erasure project that involves an old guide to rose-growing. My poem today is taken from my friend and fellow writer's book Alysa of the Fields, an epic adventure on a young woman who found the champion in herself! Go check out Tina Field Howe. There is a second book in the series The TrailFolk of Xunar-kun. Today is a love poem for the romantics. Dear Readers, I hope you enjoy it! And now for our prompt (optional, as always). Today, I challenge to write a poem that states the things you know. For example, “The sky is blue” or “Pizza is my favorite food” or “The world’s smallest squid is Parateuthis tunicata. Each line can be a separate statement, or you can run them together. The things you “know” of course, might be facts, or they might be a little bit more like beliefs. Hopefully, this prompt will let your poem be grounded in specific facts, while also providing room for more abstract themes and ideas. I went a little more introspective. Maybe it's my mood, or maybe I just have been thinking, but a little part of my heart just started to wonder. 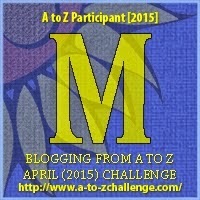 Hence today Letter of the Day for Blogging A to Z. For someone who can be pretty loud, even at the best of times. I do like a bit of quiet introspection and restorative writing. There's been a lot on my mind ranging from good to less good. I don't like to post negativity here, unless it's something to share and maybe help others. So, tonight's poem, Dear Readers, is one of simple truths and the humour behind some of those truths. especially when the alarm suddenly goes off? even after you're caught sniffing the books in the store? and you see that the driver of the car next to you is watching you? that you are now contemplating after read this poem? Okay, now, Dear Readers, a surprise. 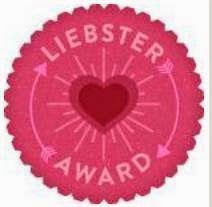 This is for Lizzi, my friend who write fantastic poetry about all manner of stuff. She write of love and truth, and much in between the two. She has an amazing flair of the Shakespeare tongue and rhymes like a beast. So tonight I dedicated this part of my blog to her. Go and check out her stuff at The Well Tempered Bards! Also I promised her that I would tell her about the surprises of my weekend. I went to my best friend from college's house warming party in Niagara Falls, NY and my friend, Laura whom is an artist and loves artsy thing desired to fill balloons with paint and throw them at a canvas. 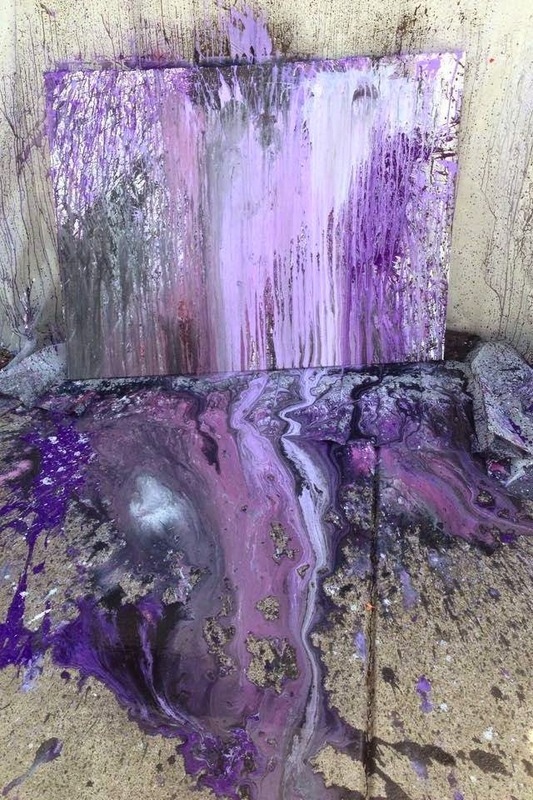 When completed and dried, the painting when be hung in her bedroom. 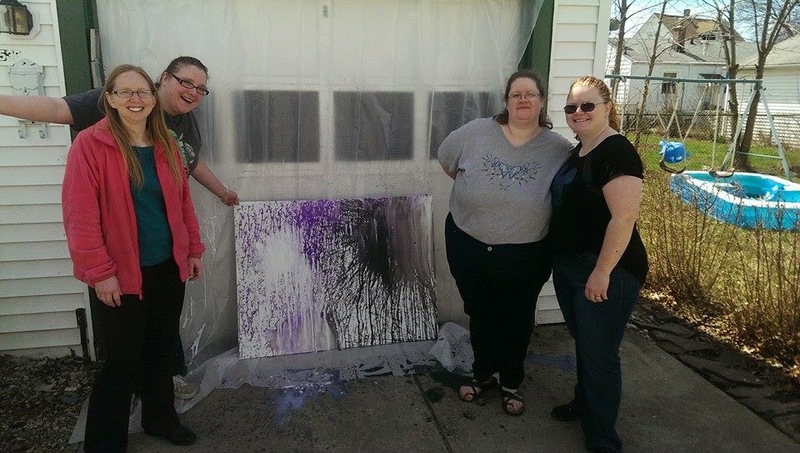 The photo below is of the first round of balloons and paint (with people) and the following photo is from Jamie (photo to the right) of the painting about mid way through the balloon tossing process. 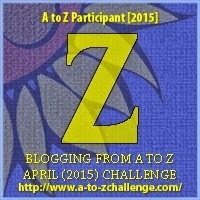 *Writing: still made my daily NaPoWriMo and A to Z Challenge posts. That is about it though. This this weekend I was strapped for time and hanging with people. More on that later. *What I put for last check in I am continuing into this week. I have some more free time this week, going to use it. A Round of Words in 80 Day, a blog challenge that knows you have a life. Come over to the Hop, the Blog Hop and visit with us writers and bloggers. and my heart is exposed to the whole world to see. Short and sweet, Dear Readers tonight. I have fun thing to discuss tomorrow, so I leave you with today's poem. love with dolphin and dragons and the cover made me drool. So I read it and was in love. There was so much to Pern that appealed to me. Dragons, telepathic abilities, a non-technological world, adventure, and danger, what more could you ask for? Oh, as I got older, I found more of Pern to love and some to hate. The non-theological basis for the world and the latter science based themes appealed to me even more. I read books, bought books, collected the harder to find books. I even made bubbly pies from the Dragonlover's Guide to Pern (2nd edition). A most excellent recipe for any fan to try. After a while I wandered to other worlds, but would always come back. When Anne's son, Todd took of the mantle of Pern, I started reading the new generation of Pern stories. When Anne passed away in late 2011 I was crushed. She was a hero of mine and an amazing writer and a pioneer for women science fiction writers, with equally amazing, Andre Norton. Now, Todd has continued to write Pern stories (and I am about three or four books behind), but I thought that today's prompt would fit rather well with Pern's battle with Thread. I wrote a Terza Rima Sonnet about the call to Thread attack. A little homage to Anne and Pern in the feel of Paul Revere riding to call the colonists to action. I hope you enjoy, Dear Reader. Although our fears hold us in bitterly tight. Thread is looking to conquer Pern's own greenness. in battle for the fair hand of gentle Pern. And in victory we shall sing songs of mirth. of those first arrivals upon shores Southern. *Reading: finished The Dragon and the George (Gordon R. Dickson) and started Murder in the Mews (Agatha Christie). 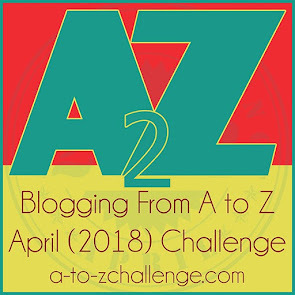 *Writing: have written everyday for NaPoWriMo, a 30 day poetry challenge and Blogging from A to Z, a challenge through the alphabet and can be about anything and everything. Come on over and check it out!! Wish I had more, but it's been a busy month. I do have a couple small goals that I am working on. A Round of Words in 80 Days is a blog challenge that allows you to set goals and report on them on a Blog Hop and meet fellow writers. Come on in and set a spell! 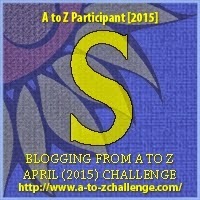 *Writing: write a 2500 word flash fiction for #writestuff monthly challenge. 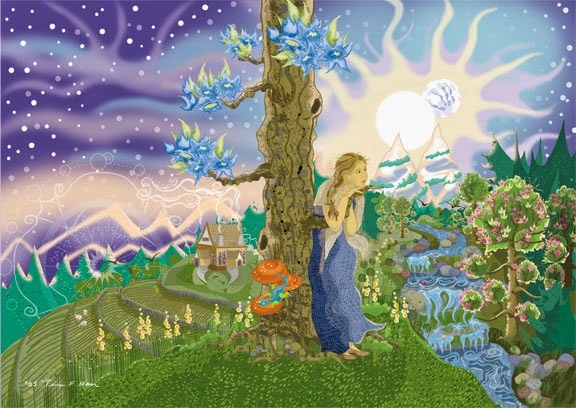 Try to write something for Toasted Cheese's spring/summer challenge, A Midsummer Tale. *Reading: finish Murder in the Mews and start Alysa of the Fields (Tina Field Howe). Origami is supposed to be relaxing? I am not sure who said that. Or even what they thought they were trying to prove. Origami at 1:00 in the morning, when I have to go to training in the morning is the most stressful. But I had coffee at Denny's and need to burn off the caffeine some how. ...about that, I still have NOT made everything shown in the book. There are some that I just cannot do. I can make (in abundance) cranes. 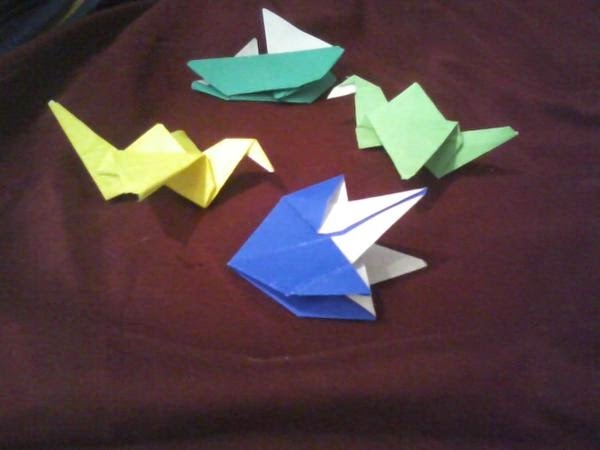 I can make a mean paper crane and also a boat. Some days a cute little floral box. Not tonight though. See! Today's prompt is to write a poem about the internet. Well, that's in the broadest terms. IT's about social media and how it relates to you (as a person). And now for our prompt (optional, as always). Today, I want you to try to write a “social media”-style poem. Name check all of your friends. Quote from their texts, tweets, FB status updates, twitter accounts, and blog posts, and the back of the cereal box on your breakfast table. The poem is about you and you are about what you say, think, talk, eat. You might end up with a poem that seems bizarrely solipsistic (like the internet itself, maybe? ), but there might also be a spark there of something live and fun and present (like the verbal equivalent of a really great animated cat .gif). I went a little different with my focus. I decided that there are a lot of individual topics and concepts that I could use in a sort of Ode to a Day on the Internet. If I shifted through all of my FB posts, tweets, and other social media sites I would be here for a while. I went with a little commentary. I hope you find my entry, Dear Readers amusing, if not a bit accurate portrayal of the internet's daily antics. it's just another day on the internet. it's just another day of the internet. lots of junk mail for male enhancement. Since I am such a Neil Gaiman fan and today's prompt is to write a terzanelle. I thought that I would write about the world that Neil creates. This fantastical and ethereal world that are usually tinted greys and nothing is quite the same as the real world. the world as I knew it tinted grey. after I had fallen into repose. and everything looked quite similar. standing there much like a plot device. past the old castle ways and below..."
reaching for my hand slowly. and past the old castle ways and below. I am clearly going meta on my poetry this week, Maybe it's because my mind took a three day vacation to ache with a nasty sinus headache, or maybe i just wanted to proclaim a little snark of my own on the interwebs. Normally I don't get too meta on anything, but the last two days of NaPoWriMo prompts have tempted. They have tempted me bad!! Yesterday was "write a poem using dialogue between real people or personified things. I chose a write about a writer and her missing muse. Today the prompt was "to write a poem that addresses itself". Maybe I am still thinking like yesterday, but I chose to fashion the poem in letter format. It is in two part, basically a call and answer poem. I think anyone you does NaPoWriMo, Blogging A to Z, or ROW80 will understand this feeling, the feeling of being at the mercy of the Muse. 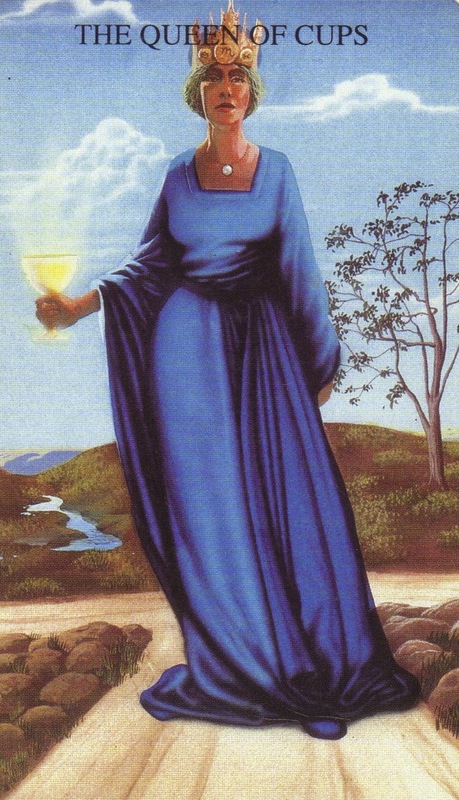 Calling upon her help by asking for divine inspiration when writing a Sapphic (right Jesi? Lizzi? Rod?) maybe or just trying to find the words. I am right though? Tonight poem is a free verse letter to my poem or any poem that I am writing, and thus the response that I ultimately get to my query. Dear Readers, I hope you enjoy. These are really is a silly things. But you didn't think that was possible. Like she had another job to do or something. with what is around me. Why do I have to write this poem myself? Making the reader feel at one with the words. it is what YOU bring to the table. is what makes any poem truly great. 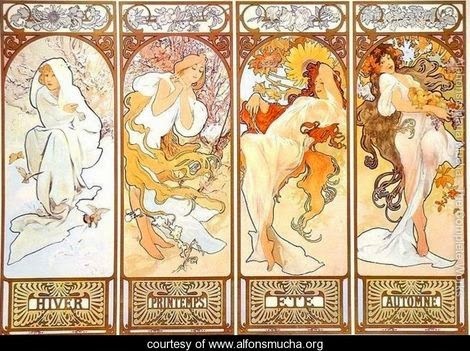 Today is M for Mucha (Alphonse). A Czech born artist that is most noted for his Art Noveau style of the feminine. His works is soft and gentle, but grabs your attention. In a number of ways his paintings remind me of a fantasy world, with these ethereal angels. He has painted a number of pieces for illustrations, postcards, advertisements including the most famous one. 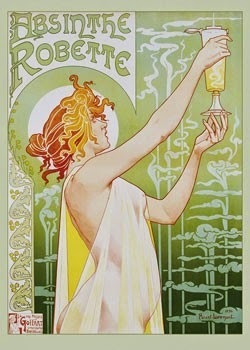 Absinthe Robette! He also has painted a series of painting about the life of the slavic people and their history. Many of works are greatly admired and inspired other artists, from painters and musicians. It's easy to get lost in the magic of a bit Mucha's work. He ranks in my top five favourite artist for those very reasons. And although he is known more for his advertisement art than some of other works. Sometimes all you need is a little bit of magic. Whom are your favourite artists, Dear Readrs? What art speaks to you? Do you write about your favourite art pieces or artists? In poetic form, or blog articles on their works and technique? 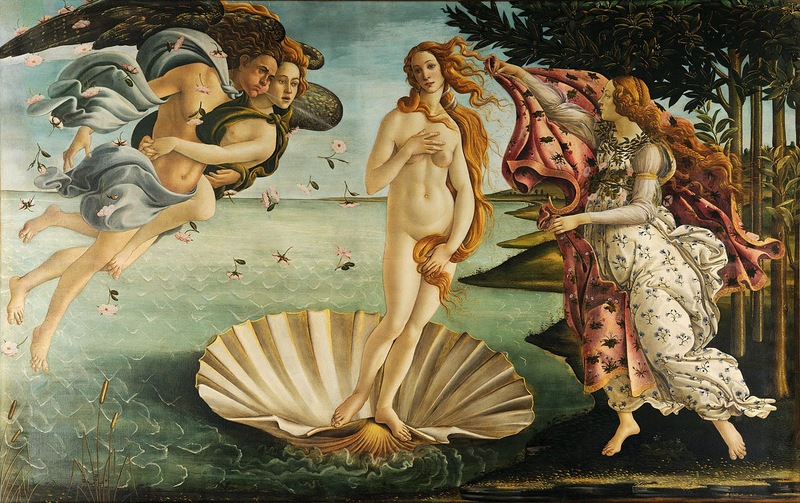 I am fond of Van Gogh, Waterhouse, Mucha, and Monet. I went a little outside the box today. I took the concept of today's prompt and wrote a full dialogue and then whittled it down to a poem length. I had a bit fun with this one. A phone tag conversation between a writer and her muse. It's a little lengthy, but I am thinking of turning into a full 1 act. Hope you enjoy both versions. Also, I am writing about the Muse of Lyric Poetry, Erato. Hey Erato. I know it's been awhile. But, well I was wondering... I want to write a poem. Want to write it with me? Looking for inspiration.You going to be around? Please leave your message at the sound of the beep. Oh, come on, really? Fine. Okay, Eri, give me a call when you get in. Thanks! I am not doing anything tonight. Give me a call, please. Hey you, I'm waiting. Where are you? I know you're there. Pick up. It's, Cin. Time to write a poem, Girl. I really need to talk to you. I'm serious. Why do you do this to me, right when I am totally ready to write. Leaving me here to sit in front of my blank computer screen. Waiting. Call me when you get in. Eri, are you home yet? I'm still waiting. Really? Are you trying to irritate me, Girl? You cannot possibly still be out. I really can't write this all by myself. Please, Erato, give me a call as soon as you get home. I'll be up for a while. Prolly working late tonight on this poem. Eri, I feel asleep. You still haven't called. I really in need your help, Eri. I don't think I can write this by myself. Everytime I try to write something about anything, I just end up with a blank screen and feeling irritated. I thought we were a team. What happened? I need you. Eri, if you are busy can I have Calli's or Euri's number? ...have to write this myself. Don't ever ask for my help then! Cin, it's Eri. I'm sorry I just got your messages. I was out with Calli and Euri, big job with the Boss. I mean HUGE! Sorry, not here. Leave me a message. Did you happen to finish your poem. I am so sorry that I didn't get back to you. I hope you aren't mad. Please give me a buzz. Will be around kicking back some ambrosia and playing the harp. You sounded really mad. Are you? You haven't called me back. Are you really that mad at me? I have a fantastic idea for a song, wanna hear it? Eri here. I think I stepped in it big time. I'm sorry, Cin. I am really sorry. I didn't mean to leave you in the lurch on this project. Did you finish that poem you were talking about? It made it on the calendar. Wow! That's wonderful, Cin. Congrats! Actually yeah, I do. I'm missed you. I'm sorry. Can I come over about seven? A brief update on my ROW80 progress. My weekend was a bit busy, but I got to see 6 new show grow organically awesome theatrical productions. How are you all doing, Dear Readers? What have you been up to? *Reading: plowing through The Dragon and the George (Gordon R. Dickson). 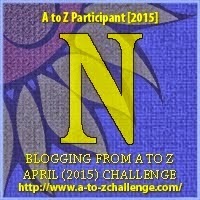 *Writing: making my daily goals for NaPoWriMo and Blogging A to Z. A Round of Words in 80 Days is a blog challenge that allows you to set your goals and report on your progress, sharing your experiences with fellow writers, and sharing your work with other. It is a Blog Hop! Come on in and stay awhile! Why do I have to write a riddle poem? ~whimper whimper~ I have never had luck writing limericks and I feel that riddle poems fall into this same category. Get me a sonnet or pantoum, heck even something like a Quadrilew. But a riddle poem? I feel that when I whittle down my thoughts to something that is supposed to be witty, funny, or mentally challenging that it doesn't even come close when all is said and done. I suppose that I just need more practice. I didn't write the sapphic poem (although I am tempted, because I almost always write at least one poem in the topics provided during NaPoWriMo or OctPoWriMo) on Saturday, so I am determined to write a riddle poem today. 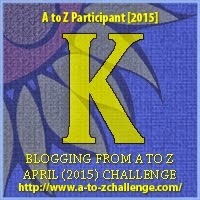 A to Z: today's letter is K. Also, not an easy letter to pick a topic from. My topic for my NaPoWriMo poem will be in the poem. Can you guess what it is? Okay! Let see if you can guess, Dear Readers. I wrote to Cinquains, in the two styles is of Cinquains on Shadow Poetry. I think the simply words poem, especially for riddle poems. These are NOT poem I normally write. It's harder for my brain to wrap around writing a riddle. I should write more. I think practice will make perfect. And seriously, this was actually not that bad to write. 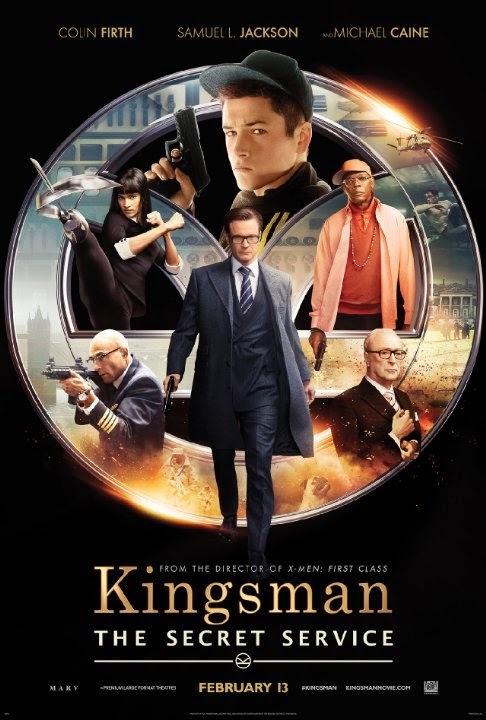 Also, I want to point out that the last movie I saw in the theatres was The Kingsman: The Secret Service. It's a pretty awesome movie. If you like English things and Spy Movies, this is a movie for you!! And it's a K title too!! Not feeling well today, so it's late in coming. From today's NaPoWriMo prompt which I rather fancy for its simplicity. It works well when I can only think in short bursts today. My little paragraph: when I read, I will sit in me chair in my study. Also, when I read I will sit upon my porch in the early hours of the morning. When the birds are just waking up. Maybe just barely sunlight cresting over the hills. Or it is when I am wrapped in a warm blanket, with a fresh cup of coffee. Either way I am in bliss. The book takes me away. The breeze is blowing, tousling my hair andf my hands sometimes get cold as I am turning the pages. But, the morning light is quite alright. Why am I rhyming now? The cup is steaming as I read and sometimes a neighbourhood cat passes by. The chair is not so comfortable, all hard and plastic. But it is my little space of the morning. sun is cresting over the hills. going numb with each page turn. while I turn the pages. Today's is gonna be short post for I am theatreing all day! My friend, writer, and twitter co-hort, Julie Anne Lindsey writes amoungst other things writes mysteries set on Chincoteague Island with her shero Patience Price. The Cozy Mystery series. The free lance counselor turned detective solves crimes on her hometown's own island. The first book in the series Murder by the Seaside is a next read and available at Carina Press, Amazon, or Barnes and Noble (ebook reader formats). It's late or really earlier, so onto the poem. 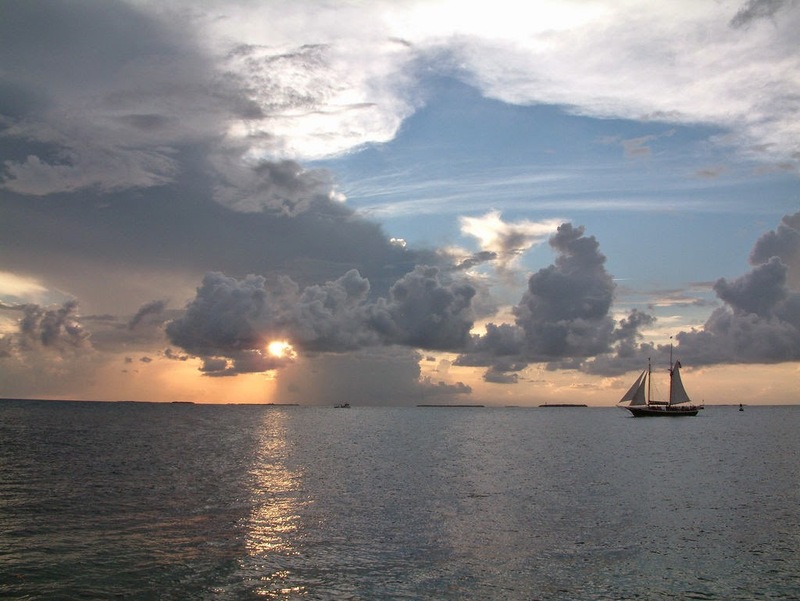 It's a free verse about Chincoteague island just off the coast of Virginia. Every year they round up some the wild ponies to sell at market. It's the major income for the island. Maybe someday I will make down there to see what is really looks like. The sands, ocean breezes, and the wild mponies. I remember reading Misty of Chincoteague and Stormy, Misty's Foal. Good times! That occurs on Misty’s shores.